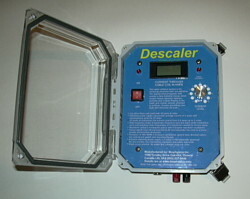 There are 5 models of ScaleMasters intended for Commercial/Industrial use. The chart below shows the power and pipe diameters handled by each model. Our Technical Support can help you with selecting the best model to suit your needs.